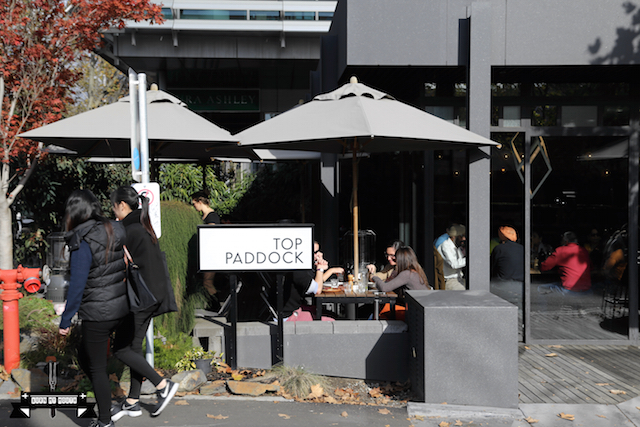 Situated in Richmond, 3 km southeast of Melbourne CBD, Top Paddock is a very popular venue with a long waiting queue most days of the week. The concept of Top Paddock is the intention for the produce to arrive from the paddock directly onto the customers’ plates. 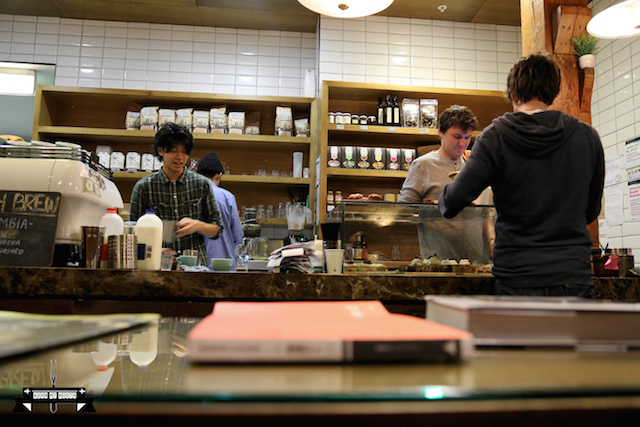 Most of the ingredients used in this café are sourced personally by the owner. 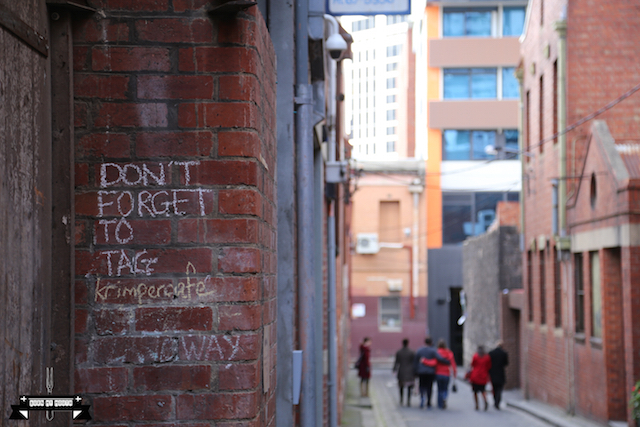 We arrived here around midday on a Saturday and was greeted with a sight of many people waiting to get in. Even though there were lots of people, they had a good system of registering people and calling their names when a table was available. The staff was very attentive to their customers and always had a nice smile to greet customers. The inside is decorated in a modern manner, with the use of natural light and plants to bring the place to life. There is also an outdoor seating area. The coffee (mostly $4) was roasted by Five Senses. It was brewed perfectly, and the taste was a blend of nutty and smoky flavours, combined with a hint of subtle sweetness. 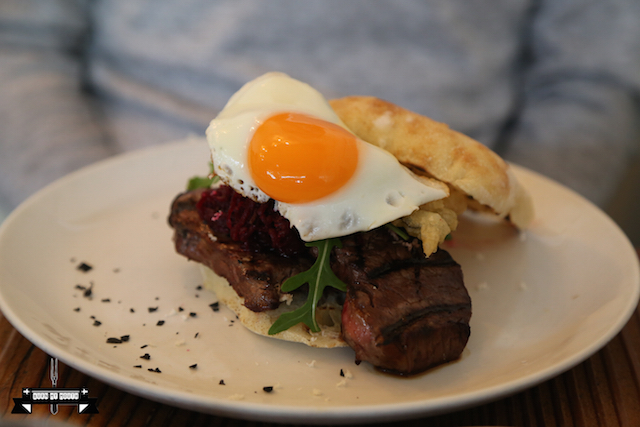 The Rangers Valley Wagyu steak sandwich with beetroot relish, tempura beetroot shoots, fresh horseradish and wasabi leaves ($20.50, with an extra $2.50 for added fried egg) was a delight to our palate. It was a perfect blend of contrasts – the soft bread contrasted well with the crunchiness from the tempura, and the saltiness from the beef contrasted well with the bitterness from the leaves, the spicy kick from the horseradish and the sweetness from the relish. A fantastic dish. 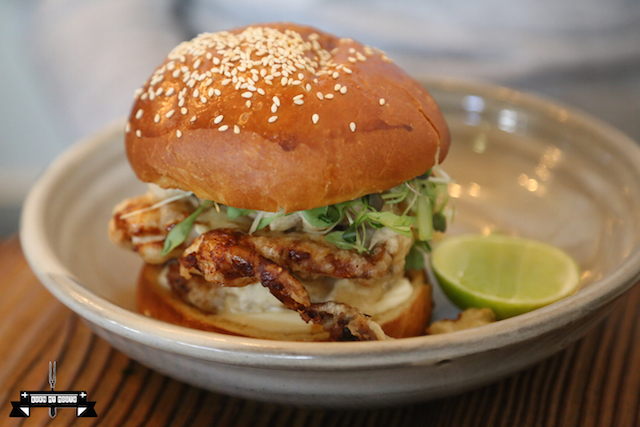 The Fresh Queensland soft-shell mud crab with a fennel and dill salad and lime mayonnaise in a brioche bun ($21) was all about re-creating the freshness of the ocean. The crab was fresh, well-seasoned and nicely cooked, sitting on a cushion of soft flesh. The freshness of the dish was further enhanced by the use of fresh herbs. The sweetness of the brioche bun provided some sweetness to the dish. This was a delightful dish and one that we would go back for again. Overall, this café lived up to its hype, and is a place where we will come back again to try a few other items on its menu. 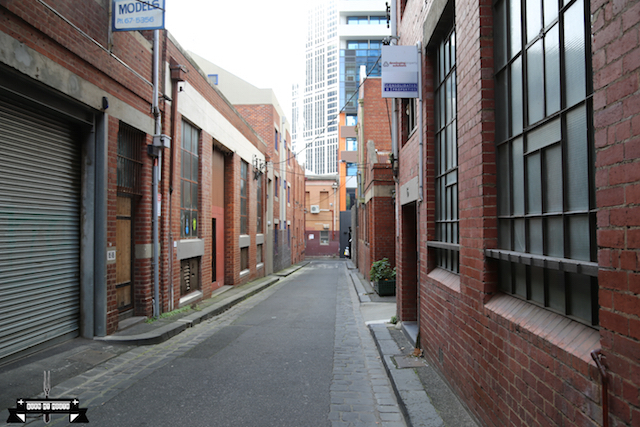 Tucked away in a small lane in the centre of Melbourne city is this little gem. 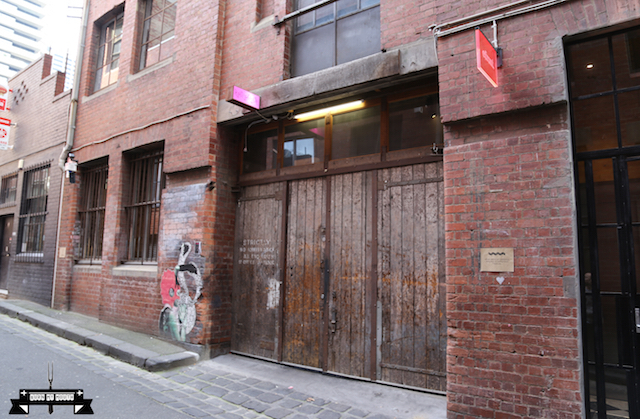 This café is hidden behind two big wooden doors, which when opened, reveals a warm and cosy café. 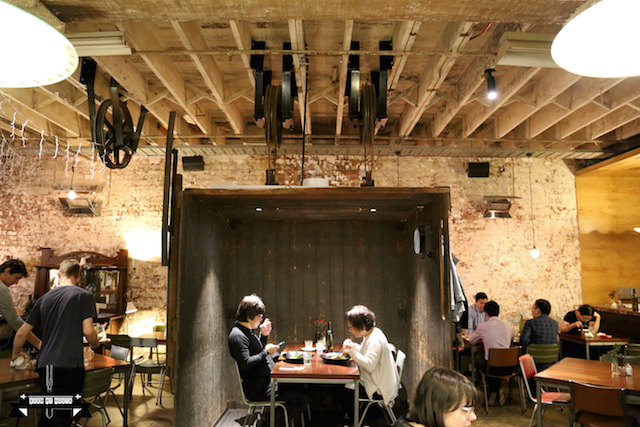 The interior of the café is filled with history – from the exposed wooden walls, to the use of an old lift car to create a dining booth, to the scattering of old machinery parts in various parts of the café. The kitchen is an open kitchen where customers can see the chefs busy at work. 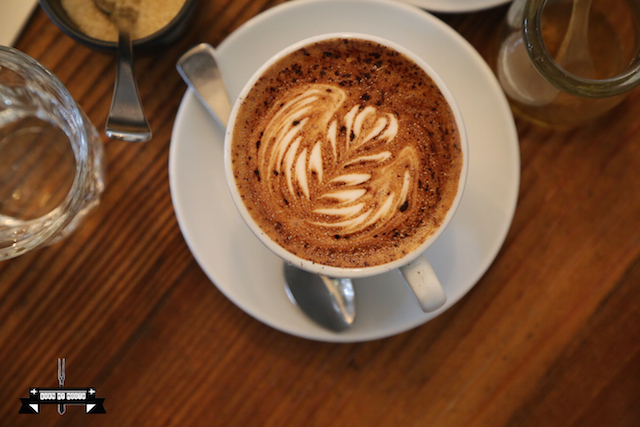 This café is named after Schulim Krimper, a famous furniture maker, which we presume the owners of this café have great admiration for. However, we did not notice any furniture inside the café that were designed by Krimper. Upon walking into the café for lunch, we were greeted by friendly staff who quickly sat us down and gave us our menus. 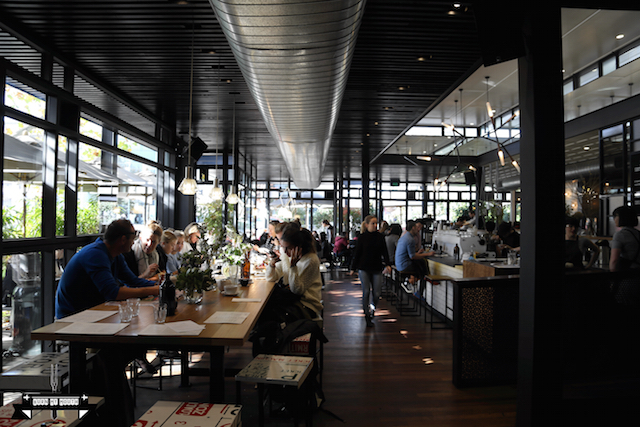 The coffee ($3.80 for white or $3.50 for black) served here was from Proud Mary, and the house blend had a nutty flavour that was brewed to perfection. The dish that every table ordered was the Beef Parmentier ($21), which was slow cooked beef, on a bed of mashed potato with red wine jus. When the dish came to our table, we understood why. The presentation of this dish was very nice, with everything stacked up in a neat and orderly manner. The inclusion of salt on the side of the plate was a nice gesture. The meat was soft and tasty, with infused flavours of onions and carrots, which literally just melted in our mouths. The mash was delicious – light, soft and fluffy. This is a must try dish for anyone who visits this café. 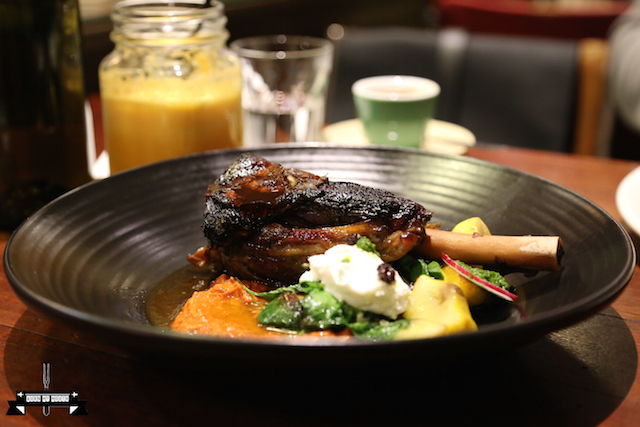 We also ordered Mr Shank ($22), which was braised lamb shanks with paprika, cumin, coriander and chilli served with romesco sauce, squash, zucchini, currants, feta, spinach and salsa verde. The diverse mix of ingredients resulted in a very colourful presentation. The vegetables were well seasoned, but unfortunately, the lamb was overcooked which made it hard to swallow. 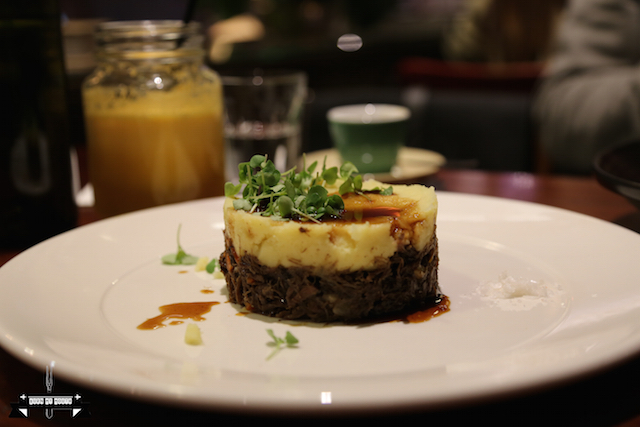 However, the flavours of this dish were a delight to our palates – with a combination of different elements of sweet, spicy and nutty flavours all intermingled together. Overall, we had a very enjoyable time at this café, and we will definitely be back next time to try the other items on the menu. 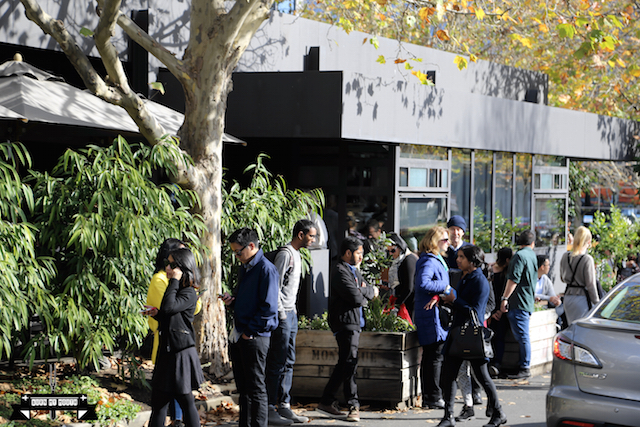 Opening hours: 7am to 5pm, Mon to Fri; 8am to 4pm, Sat and Sun. 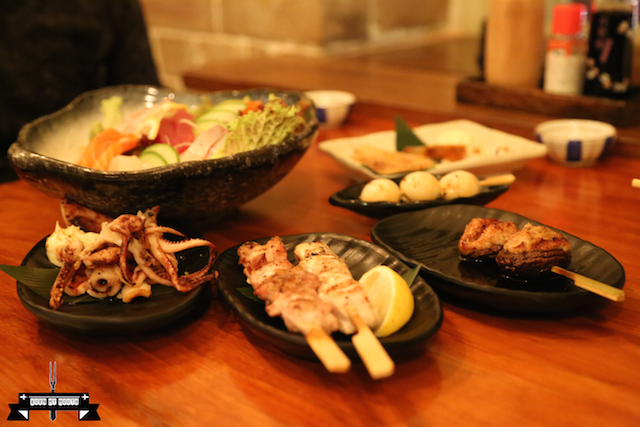 An izakaya is a casual Japanese drinking place where people can go after work to grab a few drinks while chewing on yakitori skewers. 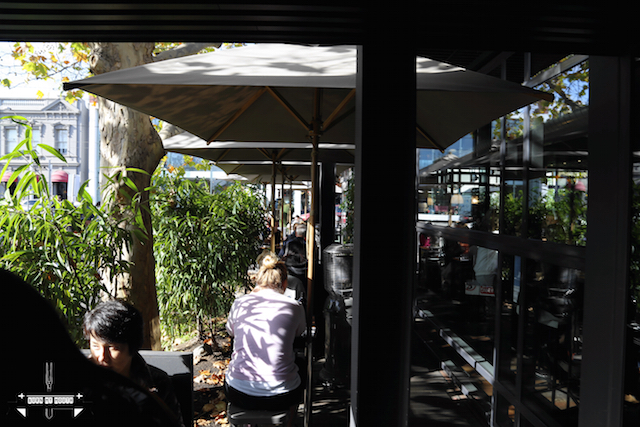 To find a place in Sydney where there is a friendly vibe, with a good variety of drinks and food, is not easy, but we think we may have found the place. 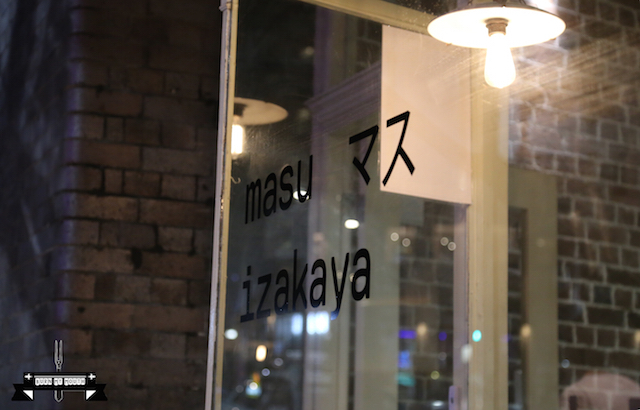 Located in Chinatown, Masu Izakaya has only been opened for a few weeks. 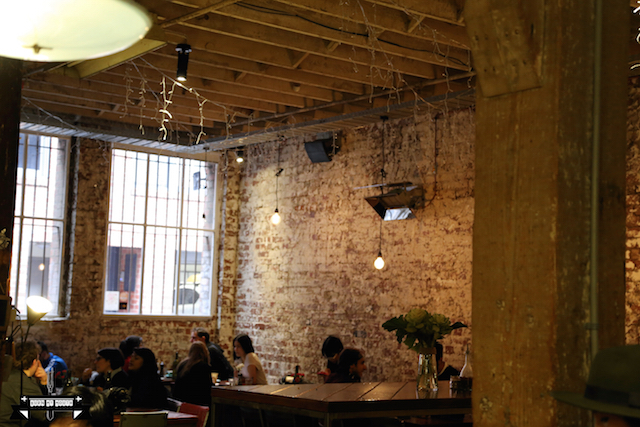 It has a really nice atmosphere with bright lights creating a warm hue, exposed brick walls giving it a rustic look, and comfortable leather chairs. 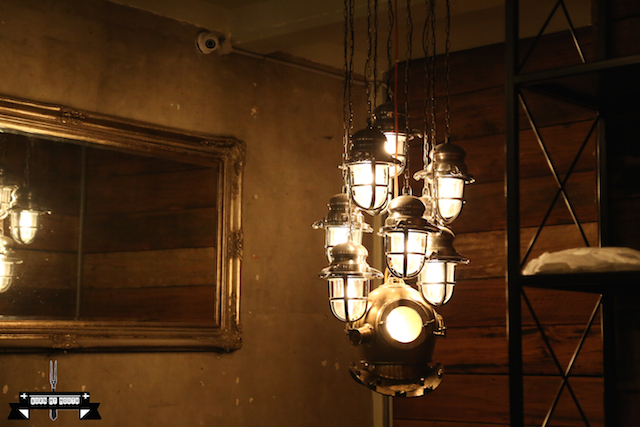 The inclusion of a chandelier near the stairs gives some class to the venue. The wait staff was very attentive during our visit, and the provision of wet towels on the table was a nice gesture. The drink menu was amazing, with a vast variety of Japanese sake (which ranged from $6.50 to $13 for 100mL) and Japanese whisky (which ranged from $10 to $17 for a glass). They even have some different types of soda drinks that we have not seen in other Japanese restaurants. The drinks menu is really worth checking out. One thing to note is that the bottle of soy sauce provided on the table contained very thick soy sauce, which gave the food a more robust flavour. This was a nice touch. This contained salmon, tuna, kingfish and scallop sashimi. 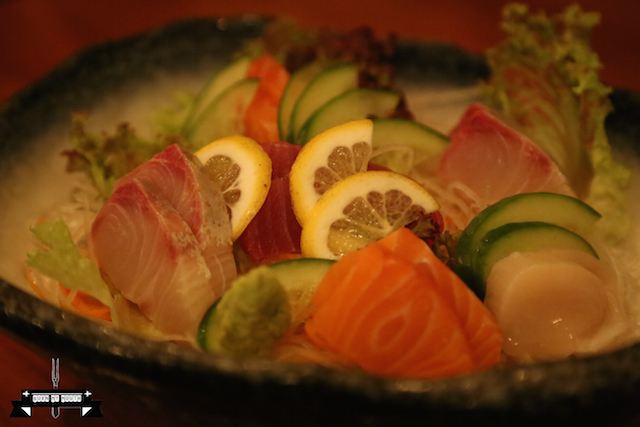 All the sashimi was fresh and sweet. 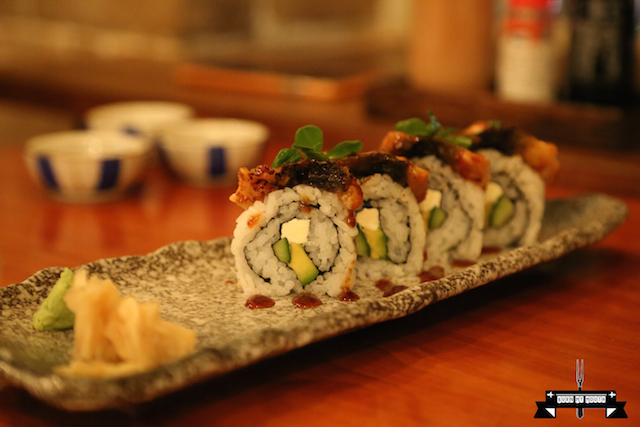 A lightly seared eel inside out roll with cream cheese, cucumber and avocado. The rice was cooked perfectly, and the eel did not contain any fishy taste. A nice dish. 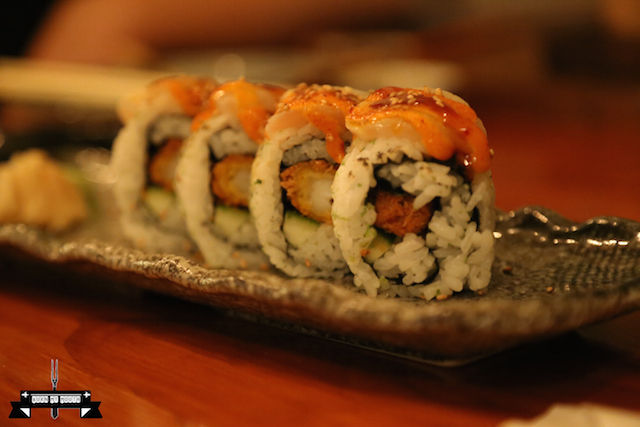 A lightly seared scallop inside out roll with ebi fry and cucumber. The ebi fry (prawns) were crispy, with very subtle scallop taste. The added sesame gave this dish a touch of depth in flavour. Very enjoyable. Nicely flavoured but a little bit tough, this is the perfect dish to devour while downing a few beers or sakes. The mayo was a nice little touch. 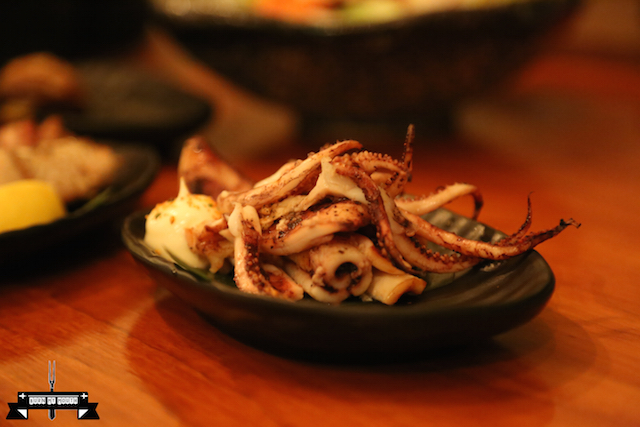 The squid was soft and tender, and yet it had the nice smoky tarry taste from the grill. 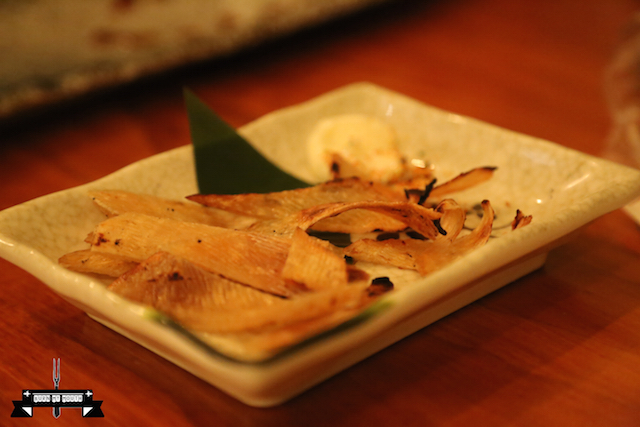 Another perfect dish to accompany some nice Japanese beer. 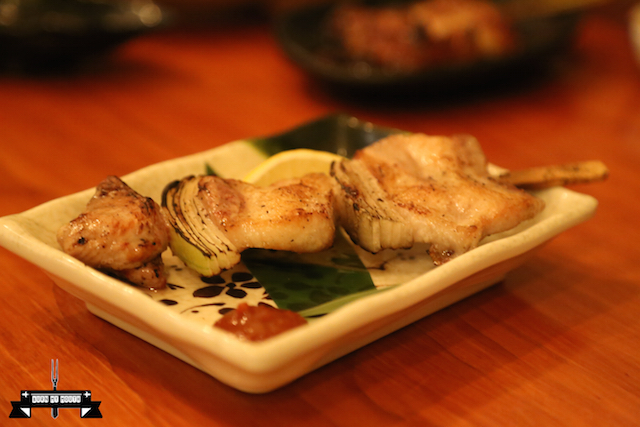 The yakitori skewers are their speciality and we tried a few different types. 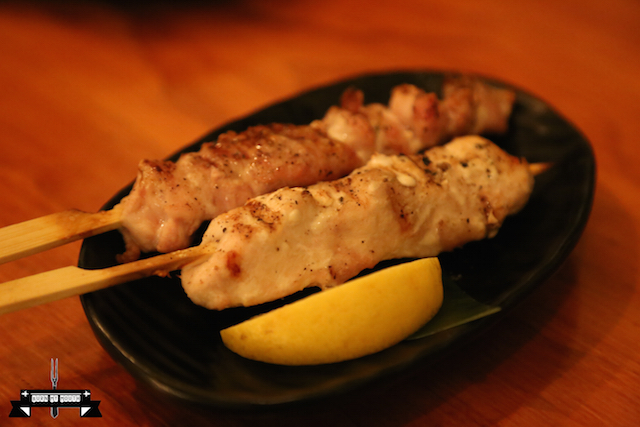 Apparently all the chicken used in the yakitori are from local farms which makes them fresh and tasty. 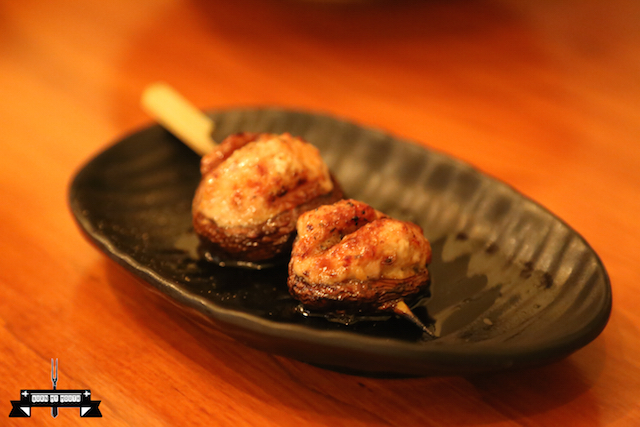 The Mushroom ($4.50) had two mushrooms stuffed with chicken meat, and it had a nice Asian flavour going for it. The Nankotsu (chicken cartilage) ($3.50) was nice and crunchy on the outside but soft on the inside. Some chicken meat seem to have been intentionally left on the cartilage for customers to taste the chicken flavour. 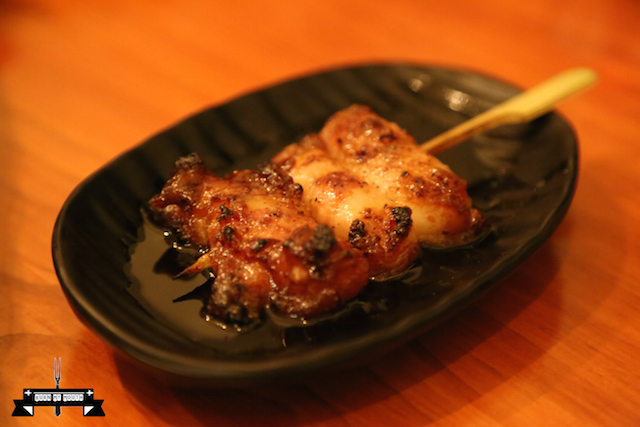 The Sasami (chicken breast) and Momo (dark chicken meat) ($3.50 each) provided a contrast in taste and texture. 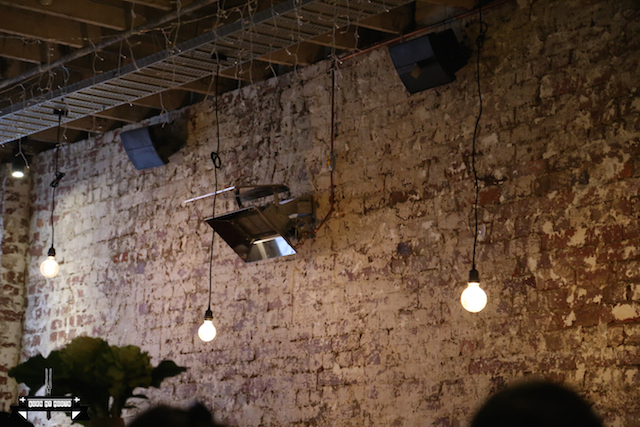 Greg liked the Momo as he found it tender and flavoursome, while Jono found it too peppery. However, Jono liked the Sasami as he could taste the natural real chicken flavour from it, but Greg found it a bit too dry. 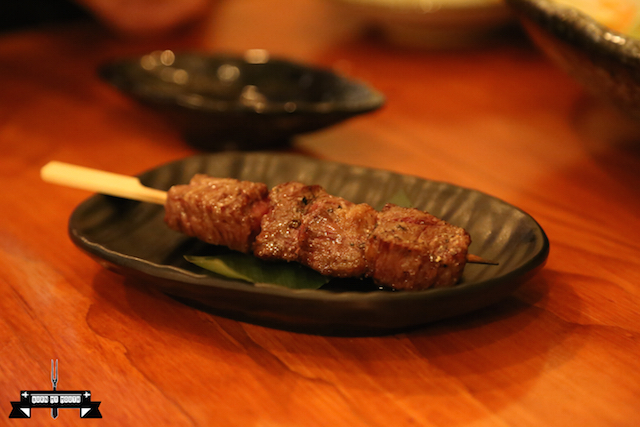 We also had a number of other skewers. The Wagyu Beef ($7.50) was soft, tender and tasty. It was simply divine! The Butabara Pork ($3.50) had the right amount of fat, making it soft and tender, which contrasted well with the crunchiness of the spring onion. Furthermore, the saltiness of the pork, with the spiciness of the sauce, and the sweetness from the onion created an explosion of flavours in our mouths. The Quail Egg ($3) had the smokiness of the grill and when mixed with the sauce, it just oozed through our mouth. The Rice Cake Maki ($3.50) divided our opinions. Greg enjoyed it, as it was full of flavour with the outside being crunchy and inside being soft. However, Jono was disappointed with this dish, as the flavour from the sauce was too strong, making it taste like some sticky fat filled with sauce. Overall, we loved this place, and we will be back on a regular basis. 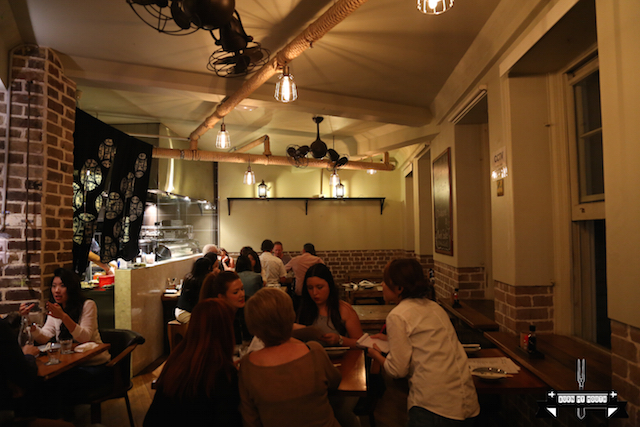 The drinks are special, the food is great, and the vibe is friendly and relaxed. 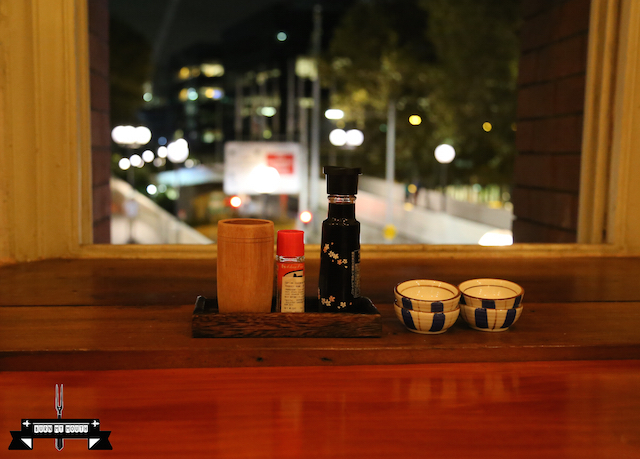 This is the perfect place to wind up after work and chat with your friends or colleagues.